Chemetall Americas is a world leader in surface treatment. Today, Chemetall Americas offers 1500 specialized products and systems for more than 30 industries, including metal fabrication, aerospace, agricultural, appliance, microelectronics, architectural, automotive, coil, and other surface treatment-related markets. 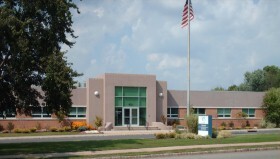 Furthermore, products and services are offered to non-metal industries such as food, pharmaceutical, plastics recycling, pulp and paper, latex, and transportation industries.Chemetall Americas, with headquarters based in New Providence, NJ, has been developing, manufacturing, and supplying state-of-the-art specialty chemical products since 1909. The ISO 9001 and TS16949 certified company offers a wide spectrum of integrated products, chemical management systems, process equipment, and service programs to facilitate the achievement of many industries processing needs.Chemetall Americas is a member of the Chemetall GmbH Group, a renowned international corporation headquartered in Frankfurt/Main, Germany.